Starting out can be difficult, but the best way to start is to grab your camera, head outside, and walk around. That’s it! 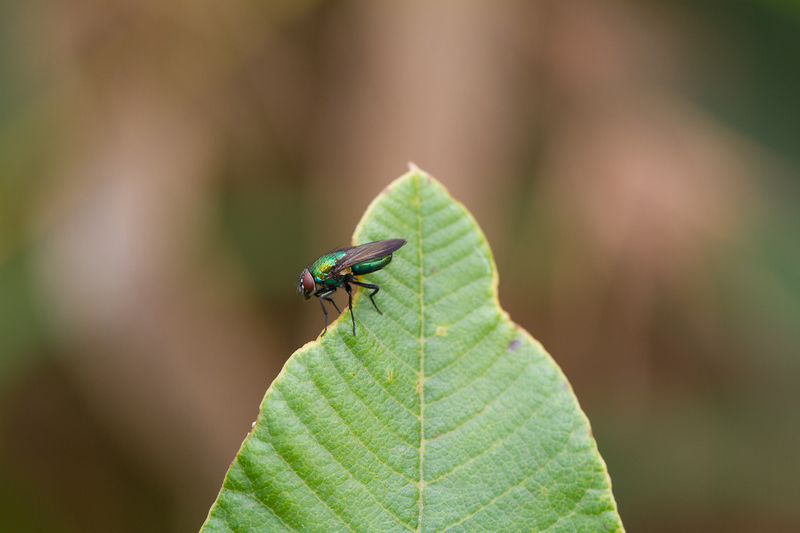 Within meters you should be able to find something to photograph, even a fly on a leaf. 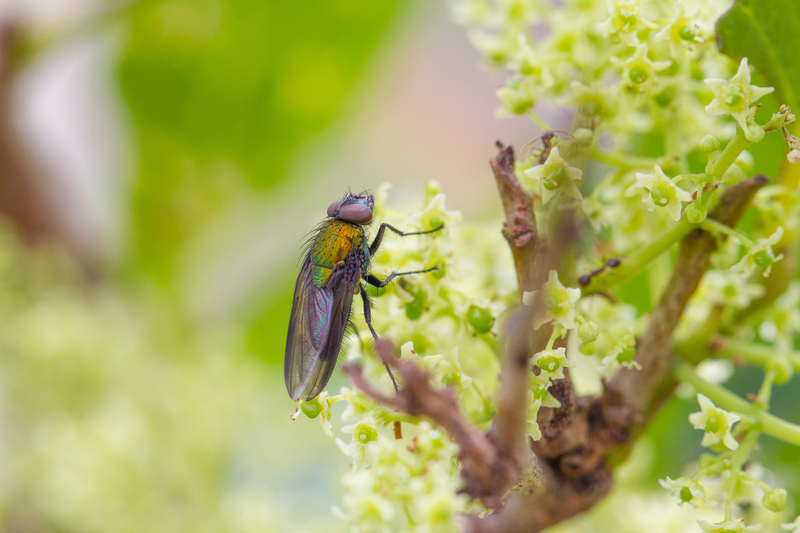 The macro lens completely blurs out the background, allowing your subject to stand out. Having other elements in the photo can be quite nice, like the texture of this leaf. 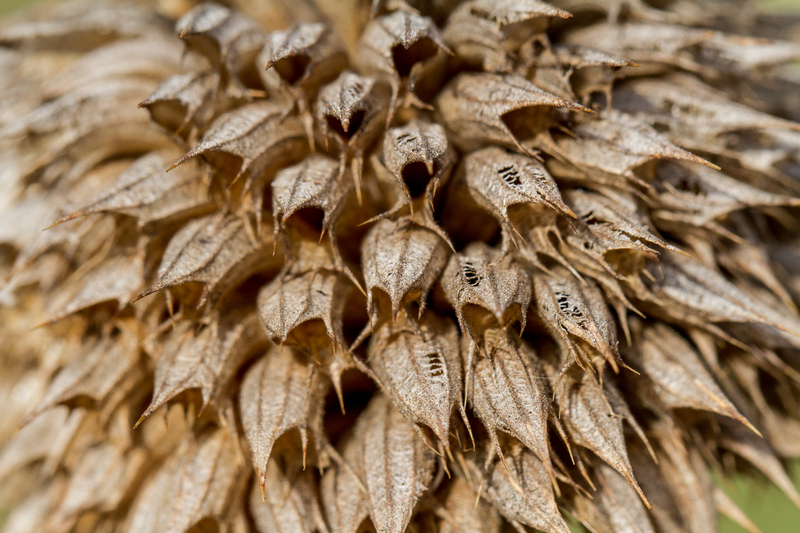 Shooting with a macro lens, doesn’t necessarily mean you always have to photograph bugs; look for flowers, seeds and textures too. I have found that if you don’t have a macro ring flash (I don’t), you need to have plenty of natural light, and the more you have, the better and easier it will be. 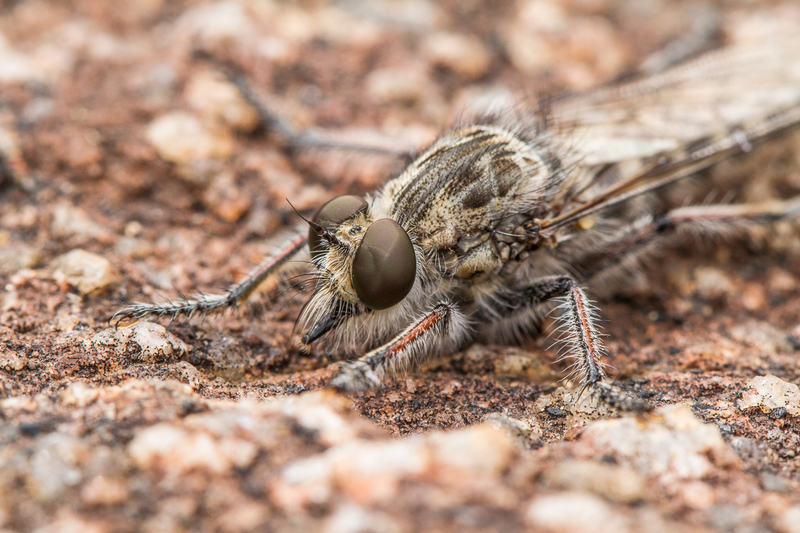 I started photographing this Robber fly on F2.8 and found that the depth of field was so narrow, that only parts of him were in focus. I ended up capturing this image at f9, but had to bump my ISO up to compensate for the drop in light, and the end result, was far better than my first. There are different focal length macro lenses, and each one has its selling point. I opted for the Canon 100mm f2.8. 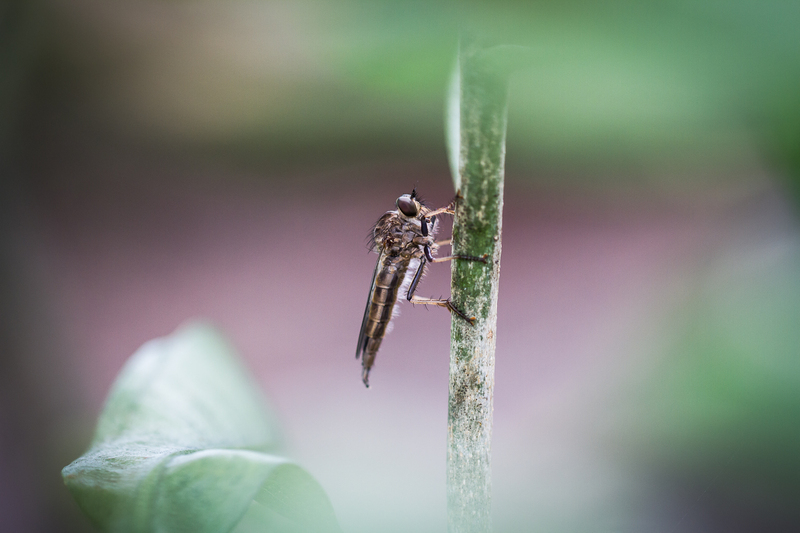 This focal length allows me to stand slightly further back than I would if I was using a 60mm, and for photographing snakes and spiders, you want that! Next, look at the composition of your image and ask yourself, what do you have in the foreground and background that can help compose and frame your image. Here, I decided to shoot through some leaves, which frame both the top and bottom of the image. This gives your final image much more depth. After that, it’s up to you to see what you can find and photograph. For me, photography is a way to learn about subjects I am not familiar with. 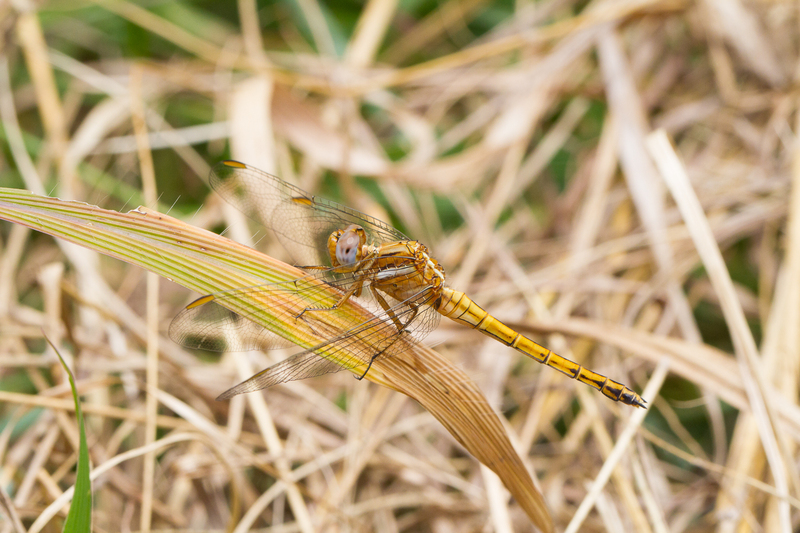 Before this image was taken, I could not have named this insect, but since I photographed it and looked it up in an insect book, I can now proudly say that it is Dropwing Dragonfly. 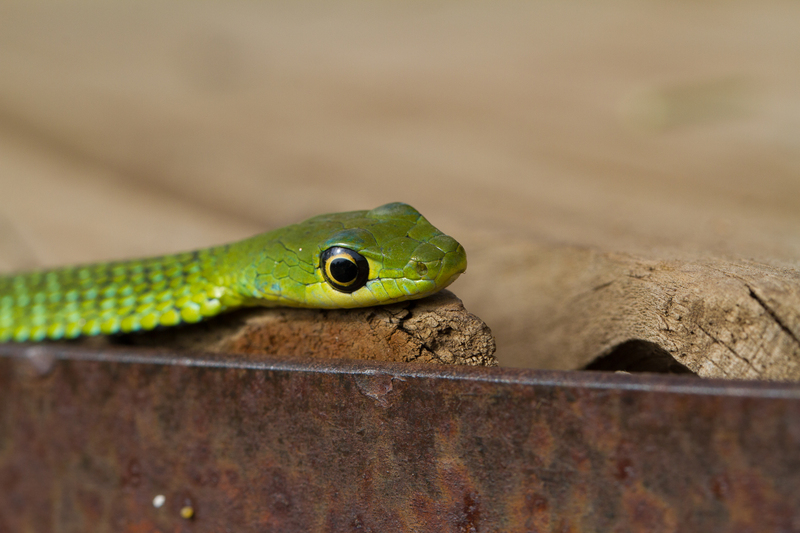 Enjoy yourself and photograph as many small and curious wonders that you can find!